As our culture speeds up and our personal lives feel overbooked and busy, haiku can offer an easy way to slow down, appreciate the simple things around us, and give us a moment to reflect on our lives. 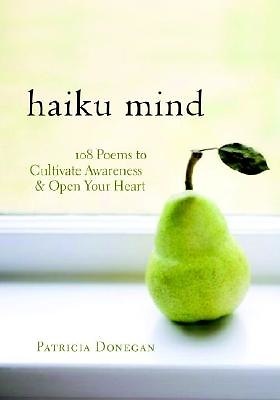 In "Haiku Mind," Patricia Donegan presents 108 haiku that offer a larger lesson on how we can approach our lives. With themes such as honesty, transience, and compassion, Donegan offers haiku and commentary as a form of meditation—a moment where we can slowly and naturally discover what is simply here.